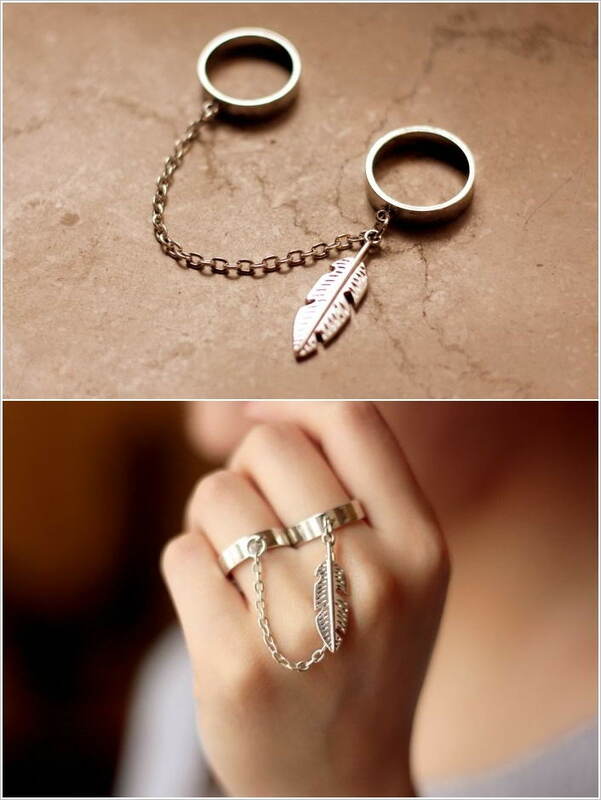 These double rings have a chain and a feather charm that you can wear with casual outfits. 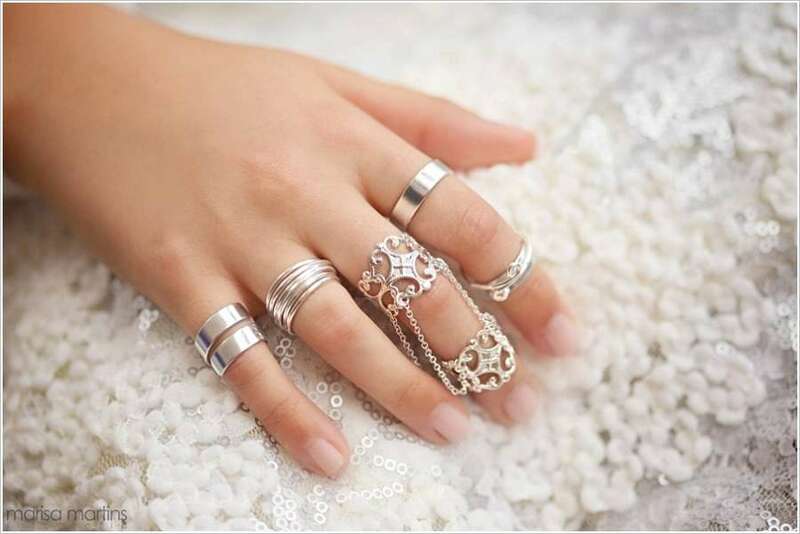 These double rings shown in the middle finger have a very unique design with two chains at either sides linking the two together. You can get these for $21.95. 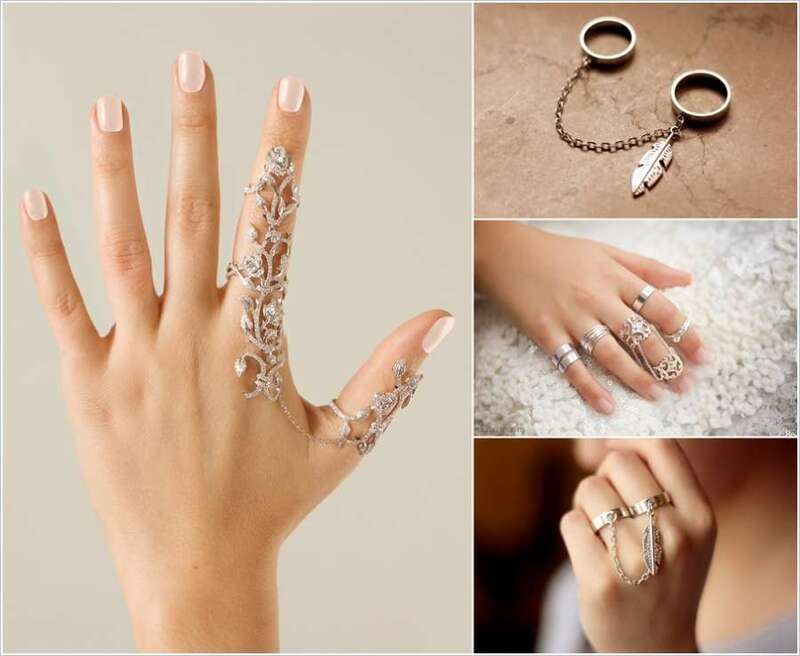 If you like to wear rings that are with a simple and delicate design then these in gold and silver are meant for you. You can get each of these pairs for a sum of $3.9. This pair has its first ring with crystals and the second ring has a peace sign. Both the rings are linked through a thin chain. Get this pair for an amount of $1.96. This ring is a true showcase of classiness with the foliage design all encrusted with sparkling diamonds in white gold setting. This ring is perfect for a lady who loves to collect jewelry with precious jewels fit for a queen.